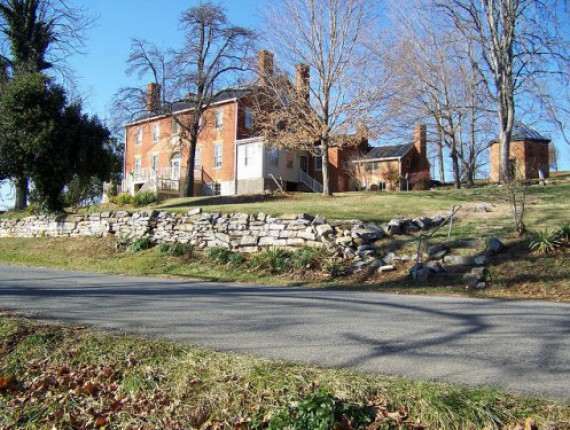 Originally named “Clover Hill,” Herring Hall is one of the locally famous “Seven Hills of Rockbridge County,” all historically significant mansions built by the Grigsby Family. Herring Hall, circa 1812, was a famous Inn and Restaurant from 1926 – 1970. Having received awards and accolades from Duncan Hines and AAA, it had offered distinctively prepared meals and lodging to a steady clientele. Third generation Innkeeper, Anne Herring, is excited to offer Grand Lodging in antebellum elegance once again at Herring Hall. Visiting Herring Hall offers an opportunity to live in the past, to appreciate the quality craftsmanship and architectural detail of another era, and most importantly, to enjoy Southern Hospitality at its finest! Once you visit Herring Hall, you’ll want to return. You’ll find our doorway always open to you in cordial welcome. You will find us near the Southern End of the Shenandoah Valley, tucked between the Blue Ridge and the Allegheny Mountains. We are just 10 miles south of Historic Lexington, Virginia. Natural Bridge, one of the 7 Natural Wonders of the World, is just 3 miles away. The breathtaking Blue Ridge Parkway and the George Washington National Forest is a 15 mile drive. Located just off U.S. Route 11 (Lee Highway), one mile South from Interstate 81 (exit 180), we are a fast and easy trip from all locations. Upon your arrival you will return in time to an era of Grand Lodging in Antebellum Excellence and Southern Hospitality at its finest. Experience the distinctive character of our three large guestrooms, the Keydet, the General and the Bright Bovine. Each with antique queen size beds, tastefully decorated to coincide with their name and all with period furnishings and accessories. Satellite television is available in the parlor and wireless internet is available throughout the house. The entire home is temperature controlled for guest comfort. A snack and beverage center is also available. A continental breakfast of juice, coffee and fruit is available at the inn. A Full Breakfast at the nearby Pink Cadillac Diner is included with your stay. Known for their Elvis Memorabilia and antique pink Cadillac parked out front, the Pink Cadillac offers a true diner style atmosphere. We recommend country ham for breakfast, famously served by the Herring’s for decades, however, you may order off the menu. You won’t leave hungry! Folks may even be tempted to return later in the day for one of their scrumptious ice cream cones! Please Note: Guests are normally limited to weekend visits only, due to the work schedule of the Innkeeper, however, we are glad to accommodate Sunday and weekday guests by special requests. These are usually available on all popular weekends and certainly during special events. Please contact us for specific dates.